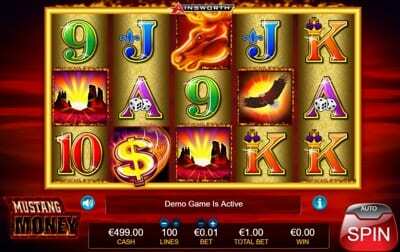 Ainsworth is one of the oldest casino game makers in the world. The company actually started as a one-man band back in 1953 and since then has gone on to become one of the leading lights in the casino industry. Based out of Australia, the company is probably best known on home shores, although they now hold offices around the world including America, Europe, and Asia. The software has been designed to run as a browser based feature for most online casinos and they are probably best known for their foray into the slots sector of the industry. What’s been impressive to see from Ainsworth is their ability to offer up their products to casinos accepting players from around the world, giving them global reach. The multi-games have been designed to combine several slots into one game package. The games will likely vary depending on pay lines. For example, the Multi-Play Big Time series includes three different versions of the same game, but with each offering a mix of 100, 50 and 25 max paylines per game. The Multi-Play Fire Star series, on the other hand, feels a bit more varied in terms of genre with Prosperity Dragon, The Enforcer, Light Em Up, and Eagle Bucks making up the set. All come with between 8 and 10 free games plus other features. 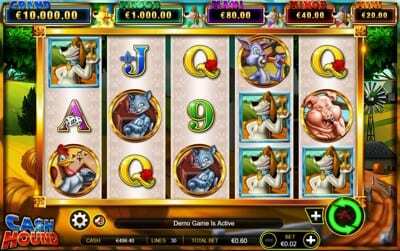 The Mystery Jackpot games are essentially just progressives that you would find at most reputable online casinos. The game will have a minimum and maximum and when the jackpot is within this range the win will be due, but no one knows exactly when. 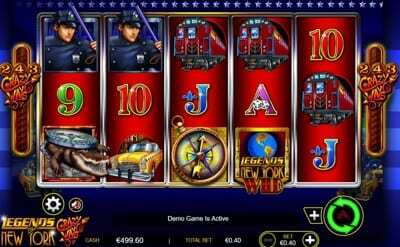 Around 16 different titles are included in this category, with Big Chief Mystery, Big Hit Jackpots, Firestorm, and the Legends series, being some of the networks most popular games. 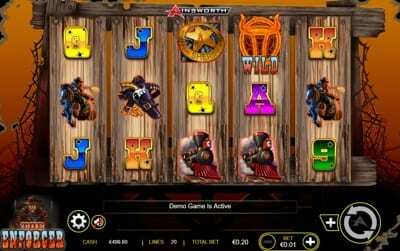 The linked games are some of Ainsworth’s most popular casino games and the company will basically link the same brand of slot with other versions. For example, one of the best games in their catalogue comes in the form of Frontier, but as this is a linked game it also means that they include Frontier Fever, Frontier Fortune and Frontier Wild West. Another group, Cash Adventures, includes Gullivers Travels, Robinson Crusoe, Huckleberry Finn, and Robin Hoods Tales. Essentially, the games all play out more or less the same in terms of how they work (paylines, bonuses etc. ), but they differ in the theme of each game. 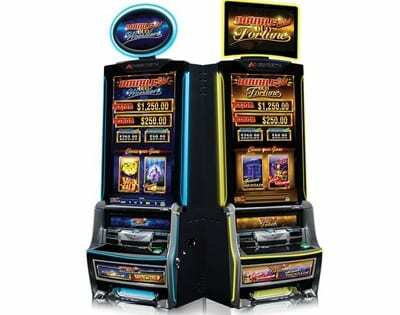 The Interactive range of slots are some of the companies newest games, and with these, you are able to incorporate features such as Facebook connect and leaderboards for each game. They state that you are able to play these games as a group and work your way up private rankings to ‘beat your friends’. They also claim this can lead to bigger wins. Currently, Ainsworth are boasting 50k interactive users a day. The SAP range is probably the largest range that the network offers and these have been the ‘bread and butter’ of the software company up to now. The SAP games allow players to steadily increase the amount of bonus within a single game. So, instead of being linked to a network progressive, such as the Mystery Jackpot series mentioned above, these jackpots will rise with the more game time that you put in for that specific slot. One of the biggest ranges for these games come in form of the Double Shot series, with themes predominantly based around Chinese New Year animals. Finally, Ainsworth are one of few companies in the industry that still provides casino game cabinets that you can find in a lot of brick and mortar casinos. At one time this was the most popular area of business for Ainsworth, indeed it was how their founder started out, but the range of just 5 cabinets these days indicates just where the company, and the industry in general, has been heading over the last decade or so. Still, since these were the very machines that Len Ainsworth built his business on all those years ago, they no doubt hold a special place in the company’s heart, and the machines they make today are still top quality products. We mentioned earlier in the article that Ainsworth has been in operation since 1953, but the Ainsworth Game Technology brand as you see it today has only been trading since 1995. When Len Ainsworth started his company in 1953 he managed to work his way up to being one of the top casino software providers in the world almost accidentally. The word ‘accidentally’ is fitting, because Len only started making the machines in order to make money to build dentists chairs which was his initial business idea. Fast forward 30 years and the company was worth billions of dollars and Len’s reputation was second to none. But in 1994 Ainsworth was diagnosed with Terminal Cancer and as a result, he distributed the majority of dividends that he held for the company to close family members. It turned out that Ainsworth was actually misdiagnosed and at the end of the day, was left without any legal control of the company he had founded. In 1995 he decided to get back on his feet and it was at this point that Ainsworth Game Technology was formed. 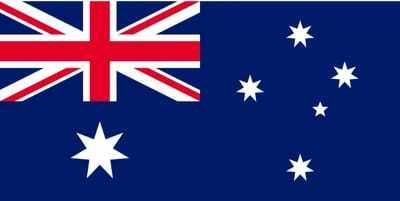 The company is still based out of their original headquarters in Sydney, Australia, but also hold offices in the US, South America, Europe, and the UK. Their first foray into the online sector didn’t come about until 2013 when they launched their first slot Mustang Money Slot, which to this day remains their most popular with 37 different casinos operating this game. Since then, this sector of the company has grown exponentially and really put the Ainsworth brand on the map. More recently the company has collaborated with the likes of PlayTech to go along with several acquisitions, again increasing the size of the company, and making Len Ainsworth a millionaire for the second time.